MainAll NewsHaredi Community ‏A female haredi MK - in Labor Party? 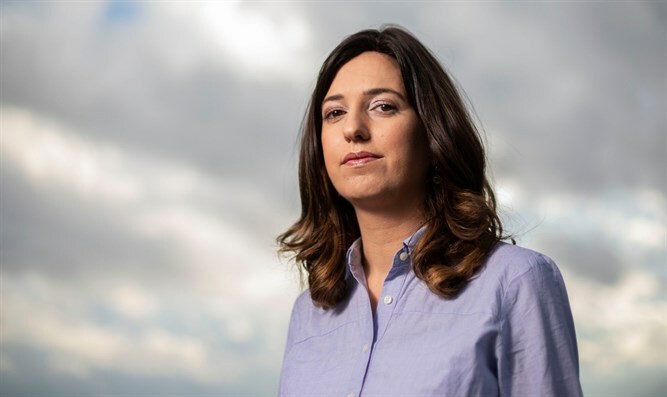 A female haredi MK - in Labor Party? Activist who founded all-female party in haredi town to run in Labor Party's primaries in bid for Knesset seat. A haredi activist from the city of Elad is running for a seat in the 21st Knesset – but not with either of the two major haredi parties, United Torah Judaism or Shas. The activist, Michal Chernovsky, has little hope of running with either of the haredi factions, both of which do not include women on their Knesset lists. Instead, she’s turned to the left-wing Labor Party, hoping to secure a realistic position on the Labor Knesset list for the April 9th election. Chernovsky first entered politics ahead of the 2013 municipal elections in the predominantly-haredi city of Elad in central Israel, founding and running at the helm of the “Ir VeEm” (Mothers For the City of Elad) party. The list failed to win any seats on the city council, but this year, Chernovsky hopes that younger haredi voters around the country will back her bid for a seat on the Labor list. Chernovsky described her own progressive-left agenda as her reason for joining Labor, and why she believes younger haredim may back her. If elected to the Knesset, Chernovsky would not be the first woman from the haredi community to serve as an MK. From 2008 to 2009, Tzvia Greenfeld, a resident of Har Nof in Jerusalem, served in the Knesset for the far-left Meretz party.